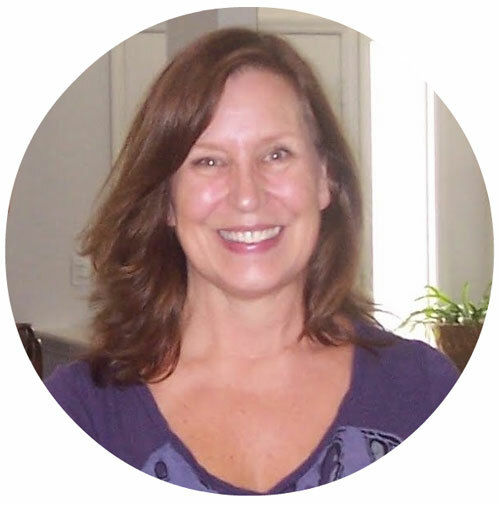 Living gluten-free, reading labels and buying natural products that have simple and understandable ingredients is something that I do every day, but I admit it wasn't always the case! I used to buy whatever was on sale and never thought to read a label. After I went gluten-free, I learned how to read labels, and I was shocked at what I had been putting in my mouth. If you don't know about Tom's of Maine, you need to. Tom's of Maine products are free of artificial colors, sweeteners, flavors, fragrances, preservatives, or animal ingredients. They are a mindful company that donates 10% of profits to charity and are committed to making the world a better place. Check them out here on Youtube and learn how Tom's can benefit your family! I buy my Tom's of Maine products at my neighborhood Walmart. I was in the other day and grabbed three tubes of Tom's of Maine® Silly Strawberry® Anticavity Toothpaste for my grandsons and shipped them to my daughter. I want the boys to use a great toothpaste so they will have strong teeth. She sent me this pic of my favorite Superheroes giving their new toothpaste a big thumbs up! 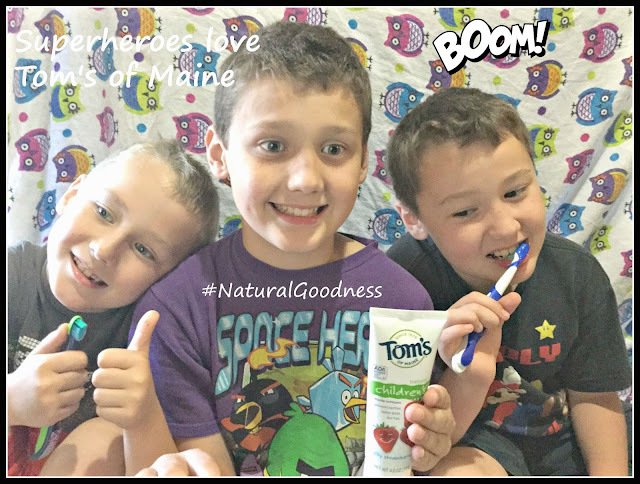 I'm so happy that my grandsons are using Tom's of Maine® Silly Strawberry® Anticavity Toothpaste. I know it's made with high quality ingredients that are good for them and the strawberry flavor will make brushing so much fun that they will do it longer. 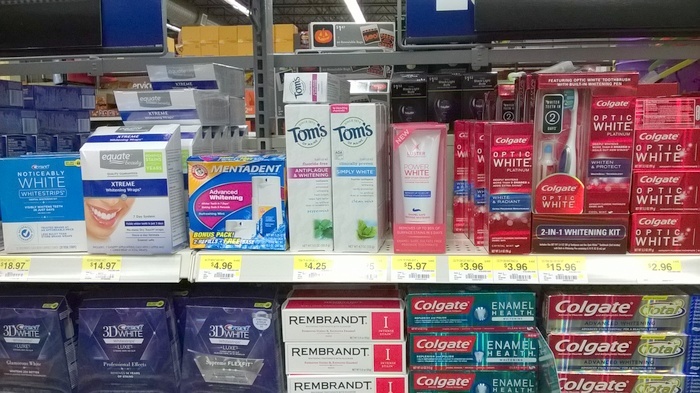 Hubby and I use Tom's Simply White® Clean Mint Cavity Protection Toothpaste. Tom's of Main uses naturally sourced silica without bleaching chemicals to whiten your teeth. It's wonderful to whiten my teeth naturally and know that the toothpaste I'm using is good for me . 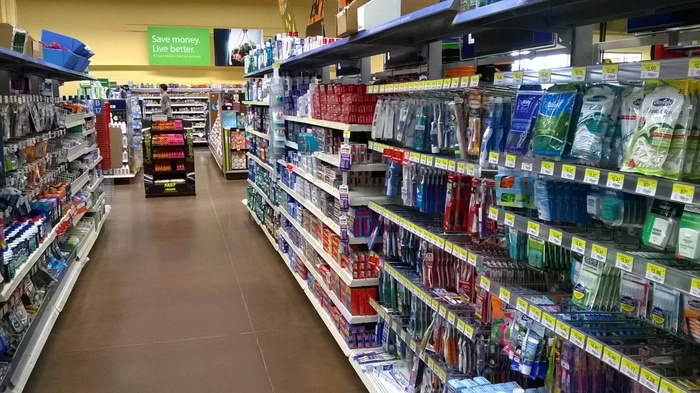 Tom's of Maine also offers other natural products, Deodorant, Bar Soap and Mouthwash. The mouthwash is alcohol free and the deodorant is aluminum free. Just more reasons to love this company! Using chemical free natural products in our home is another way I ensure natural living for my family. I like to use plain white vinegar to wash produce and clean the house these days. It's a great way to save money and it discourages bugs! I use a 50/50 Vinegar/Warm Water solution for bathrooms, windows, floors and in the kitchen. It works great! Fill a clean kitchen sink or a large pan with cool water. Add produce, give a light scrub if needed to remove dirt. Drain water, rinse the produce. Add three cups cool water to one cup of white vinegar. Pour over produce and soak for 5 minutes. Drain water and rinse the produce again. I also add a dry paper towel to the bag when I store vegetables. I helps them stay fresher longer. I would love to hear how you are encouraging your family to live naturally! Have you tried Tom's of Maine? What's your favorite Tom's of Maine Product?